Luck of the Irish Skewers ~ a festive St. Patrick’s Day appetizer or an excellent bloody mary garnish. Despite not having a smidge of Irish in my blood, it seems there’s been a leprechaun dancing around in my life the last year. 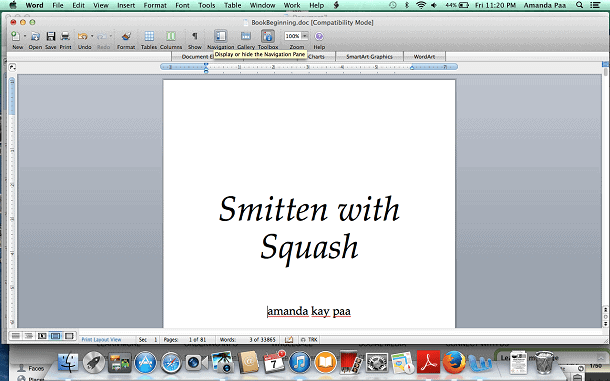 11 months ago the MHS Press contacted me about submitting a book proposal for their Northern Plate series and I as hit “send” on Friday night to submit all 34,000 words of my squash musings, a floodgate of emotions came over me. Relief, yes. But more so how lucky I’ve been to spend the past year immersed in what feels like my baby, “Smitten with Squash”. It certainly didn’t happen without good fortune and people who believed in me, like all of you. I often wonder how I could be so lucky to have such supportive people surrounding me. 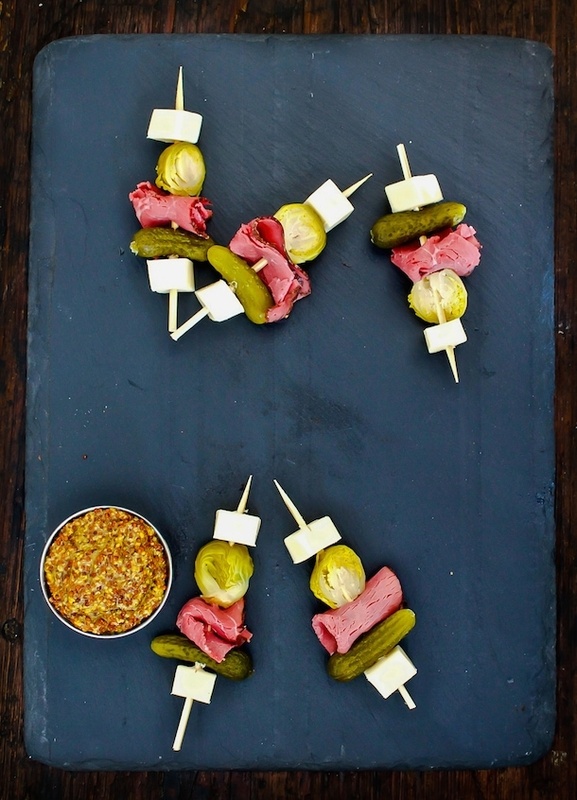 In an effort to reinvent the Irish favorites mentioned above without a lot time in the kitchen, I created these Luck of the Irish Skewers (or kabobs) -a mish mash twist of corned beef, cabbage, and a reuben in finger food form. No baking, brining, or boiling required. And in true Minnesota fashion, they’re an “on a stick” appetizer I think you’re going to love. Sweet and nutty Dubliner Irish cheddar starts and ends the skewers. Normally you’ll find ooey gooey, melted Swiss on a reuben, but since it doesn’t have a lot of flavor when eaten cold, I opted for the aged cheddar. A tart and crunchy cornichon comes next. I hate the word cute when referring to food, but honestly, what other word describes this pickle better? Nubby and a little chubby, they’re what gives the Thousand Island dressing of a Reuben its punch. You can use corned beef or pastrami, which is what I went with here. With a peppercorn crust and smoky finish, this beef is finger lickin’ good. And I couldn’t forget about the humble cabbage. Since a wedge of the green veggie wasn’t quite “stick” friendly, I opted for pickled brussels sprouts and I think they may just be my favorite part of these skewers. They’re zesty and zingy, soaked in a spicy brine, plus they still hold a little crunch. You can find them in the condiments sections of a grocery store, or even places like World Market, which is where I got mine. If you’re hosting a party for St. Patrick’s Day these skewers are a fun and unique way to pay homage to the best of Irish food. They’re so simple to make and can be prepared a day ahead of time. The hardest part? Refraining from eating too many as you sip a Guinness (or bubbles for me, boo gluten) while you wait for your guests to arrive. Oh, and I almost forgot to mention. These would be a great Bloody Mary garnish any time of year. Hello Sunday Funday. Thread skewers in order of ingredients listed above with an extra cube of cheddar on the finishing end. Serve on a platter with stone ground mustard or horseradish sauce. Would also be a great garnish for a bloody mary’s. This blog is supported through the use of Amazon affiliate links, which I may make a small amount from should you decide to purchase. Dang, I wish I lived closer to you so I could taste all this stuff. Sounds like my kind of food – and the Bloody Mary too. So many congrats on sending in the book! That’s a huge accomplishment. And these skewers? SO much yum. P.S. 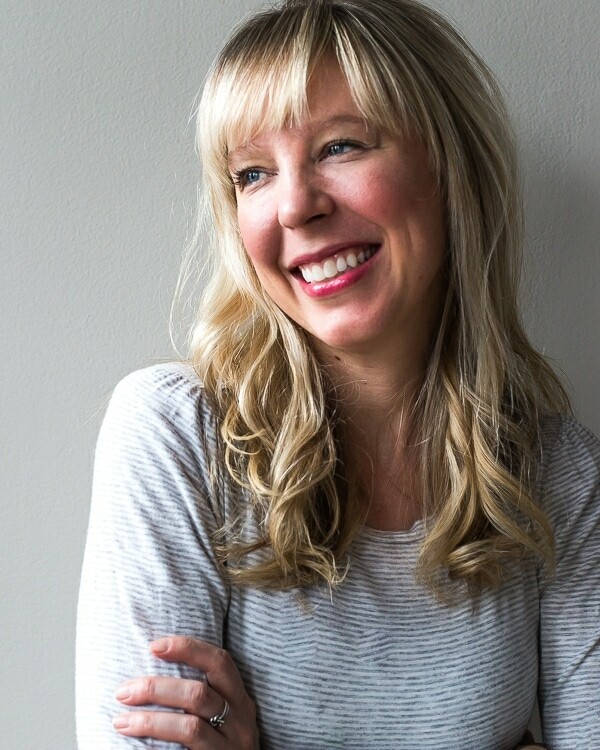 This may be waaaay belated at this point but I am loving your redesign!! Pingback: Happy Saint Patrick’s Day! Pickled Brussels sprouts? There is such a thing? I must look for it! These Irish skewers are quite clever and I bet they taste wonderful! 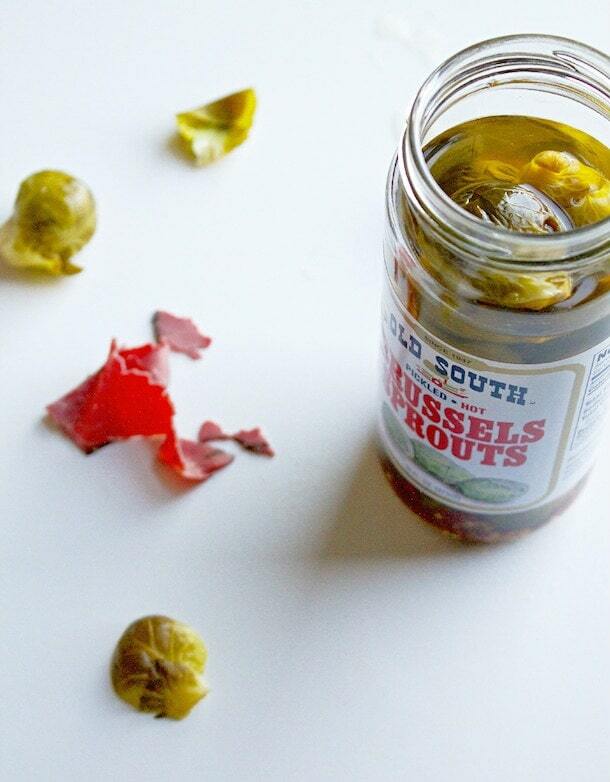 Yes, pickled brussels sprouts are a must find! Which state do you live in again? They have them at World Market around these parts. Do you use dill or sweet Cornichons? What kind of Pickled brussels sprouts? Dill too?? thank you! Hi Jessica! I use dill cornichons. And I buy these pickled brussels sprouts. I’ve found them at World Market! Thank you! So you use the mild kind instead of the spicy? I found dill pickled brussels sprouts but will probably need to go to World Market like you suggest if I need to do the mild or spicy. Either works great, just personal preference if you like something with a little heat! Fabulous idea for St Patricks Day!